Nigerian singer, Wizkid, surely has fans everywhere, most especially, female fans going crazy for him. Here is another Ugandan lady, sweet bèbé� @ainebintu, who told Wizkid to remember when they met at a club in Uganda some time ago and said she is waiting for him to come and pregnant her, saying that her “womb is ready“. 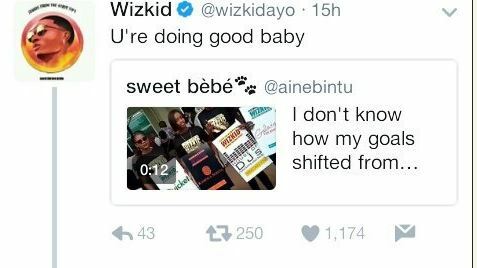 ”I Made A Movie With My Bestie” – Wizkid Finally Reveals. Nigerian soldier calls out his kid brother and his ‘slay mama’ girlfriend and its all shades of hilarious!